“This is a fantastic segment rich with history,” exclaimed John Cates, whose day with Jennifer Cates included a walk through Hillsborough. Does this history include this trailside house, which appears to date back to mastodon times? 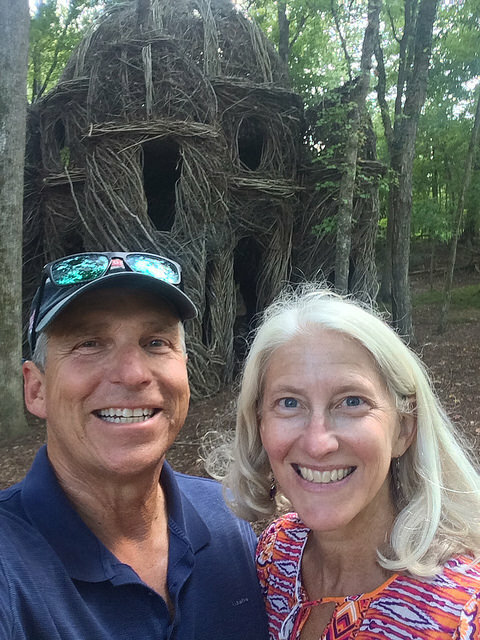 Actually, that stick house is the work of Chapel Hill-area artist Patrick Dougherty (and nearly 200 volunteers), who built the Suessian structure a couple years ago. You never know what you’ll find along the trail.